St. Patrick’s Day is just around the corner on March 17th! As you get out your green attire and begin your search for four-leaf clovers, you also need to start planning your beverage choices for the day. After all, no St. Patrick’s Day is complete without starting (and ending) the day with a delicious and creamy Irish coffee. Rumor has it that Irish coffee was invented in the early 1940s by a gentleman named Joseph Sheridan. Joseph worked at an airport terminal and needed a way to warm up passengers on a dreary, wet day in Ireland. He added a bit of Irish whiskey to the coffee and it was a hit! 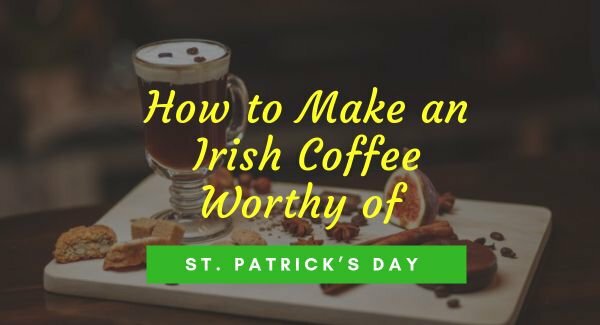 To honor Mr. Sheridan and the celebrations of St. Patrick’s Day, use this recipe for a piping hot cup of Irish Coffee. Before you begin putting the ingredients together, you need to brew a pot of your favorite coffee. Since the traditional Irish coffee is all about blending the flavors together for a distinct experience, you’ll want to avoid coffees with strong floral notes or intense roasts. Instead, opt for a balanced, earthy roast. Now, pour hot water into the glass to warm it up. This ensures that the varying temperatures in the recipe won’t cause the glass to crack. Allow the water to swirl around and warm up the entire cup before pouring it out. Next, combine your choice of Irish whiskey and sugar in the glass. The type of sugar used in this recipe is a bit of a hot debate. Personally, I enjoy using brown sugar in my Irish coffee for a well-rounded sweetness that blends perfectly with the coffee. 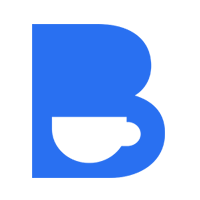 Others prefer to use sugar cubes, certain syrups, cane sugar, etc. Do a bit of experimenting with the recipe to determine which sugar best suits your preferences. Then, add coffee to the glass mug. Stop pouring when the liquid is about an inch away from the rim. Stir the coffee, whiskey, and sugar together well. To add the heavy cream, put your spoon right above the coffee. Begin pouring your heavy cream onto the spoon. As the spoon fills up, it will overflow onto the coffee, creating an even, smooth layer of cream on top of the dark coffee. The resulting visual effect is stunning! To finish off your coffee, add a pinch of cinnamon or extra brown sugar on top of the coffee. This step is entirely up to you! Did you know there is a right way and a wrong way to drink Irish coffee? 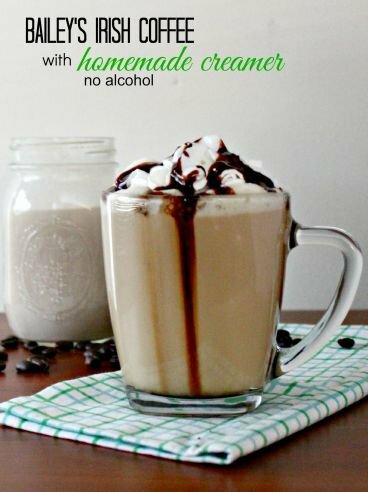 Do not mix the cream and coffee together before you take a sip! Instead, do drink the coffee through the heavy cream for the best taste. Trust me, you will love it. Want more Irish Coffee Recipes? 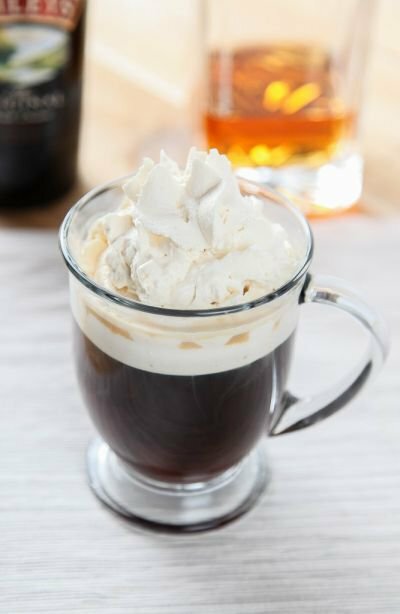 Here's the compiled recipes from Irish Coffee enthusiasts. Ready to make an Irish coffee for your St. Patrick’s Day celebration? Click the Share buttons above or by the side to Share this recipe with your friends and family so they can participate in the fun! Brewing coffee with a French Press is easy! Start brewing your very own ☕ coffee in 4 mins.